Gov. Sandoval just signed some of the best school choice legislation in the country. 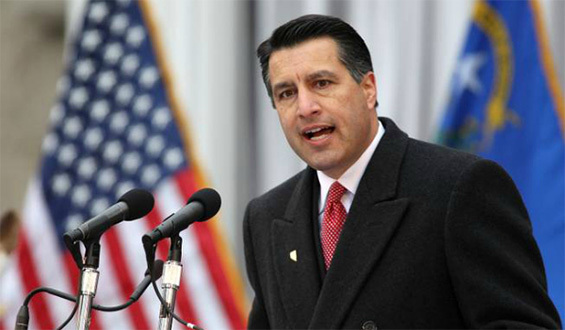 One of the most exciting school choice options for parents just got a big boost in Nevada, with Governor Brian Sandoval signing into law the most comprehensive Education Savings Account plan in the country. Education Savings Accounts (ESAs) are an improvement over charter schools and vouchers, because they allow for cost transparency and the ability of parents to shop around in search of the best deal for their children. They also tend to be more flexible than other forms of school choice legislation. Here’s how it works: Starting in 2016, parents will have 90 percent of the funds that would have gone towards public schooling deposited in a special account. They can then spend this money pretty much any way they like, provided there is some sort of educational connection. This can contribute toward tuition in public or private schools, private tutoring, textbooks, online education programs, special needs programs, or any combination of these options. Since parents see the cost of every purchase they make, they are not only incentivized to spend wisely, but suppliers have a motivation to compete on price that didn’t formerly exist. And when companies compete for business, prices drop and quality improves. This is a real game changer, and one that will hopefully be adopted by more states as the success of Nevada’s program becomes apparent. Giving parents the ability to customize their children’s education, rather than forcing students into failing or dangerous schools based solely on their physical location, goes a long way towards ensuring better education quality for all. Now, a school that fails to do its job will see financial losses as a result, and the incentive to perform better will drive up quality all across the state. ESAs operate on the conservative principle that individuals are best equipped to know how to spend their money. A state or federal bureaucrat is far removed from the concerns of individual families, and it is ridiculous to suppose that a system where central authorities direct education dollars instead of parents could possibly be efficient or effective. As more states reject federal mandates such as Common Core standards, Education Savings Accounts offer a way to take back local control of schooling from the politicians in Washington, DC. Governor Sandoval should be commended for his willingness to sign this bold legislation, and give real school choice to all Nevada families.